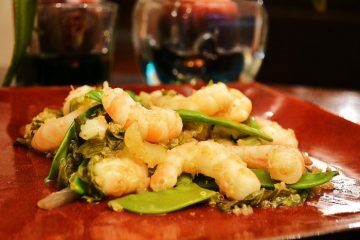 This Asian-influenced, one pot dinner is a great way to get in some protein, healthy greens, and a powerhouse grain. Your body will thank you! One day I will get to Spain, but in the meantime I can recreate some of my favorite tapas recipes that I love from local tapas restaurants. 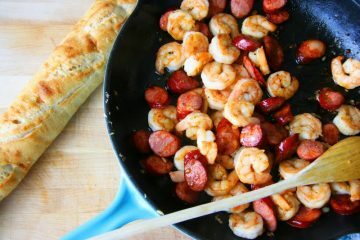 Shrimp and chorizo is one of them and my adaptation has become a family favorite, especially enjoyed outdoors on our patio on a balmy summer evening. 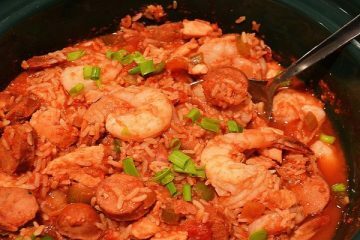 This has become one of my favorite “go to” crock pot recipes. It comes together fast, I can make it on high a few hours before I want to serve it, and it is very tasty. A loaf of crusty bread and a simple green salad would make nice sides. 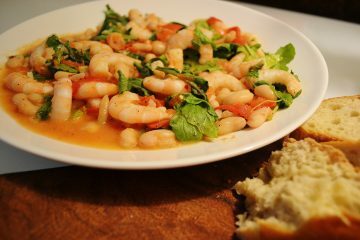 My mother makes great seafood pasta where her secret ingredient is salsa. I have taken her recipe and modified it for the slow cooker with great success. 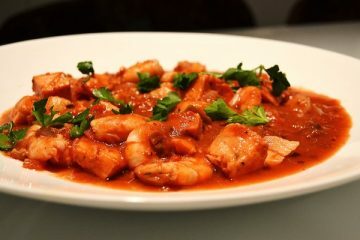 Although this is a stew, this dish could also be served over linguine as a seafood pasta sauce.